The Urban Politico: Guest Posts Coming Soon!!!! From time to time the blog authors here learn from both online and offline feedback that you, our ever faithful readers, might enjoy experiencing some different voices and points of view here at The Urban Politico. And from time to time our bosses on our various day jobs actually expect us, your dutiful blog authors, to work from can't see to can't see with no time off to create, edit or discuss new incisive and detailed blog posts. 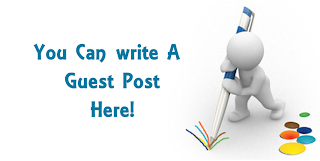 When those two sets of circumstances coincide then we usually get together and determine that it might be a good time to put up some guest posts. So starting Monday next week (3/18), please look for a number of insightful and different guest posts on various subjects from long time readers, people that may have just discovered the blog and other veteran bloggers or writers with something interesting to share with you. We're happy that these intelligent people took time out of their busy day to write. New ideas and new voices keep things fresh. We hope that you enjoy the change of pace and show our guests lots of love in the comments. We'll be discussing some of the topics raised in the guest posts on our Sunday radio show so please tune in and call in. And if you ever have an idea about a guest post of your own that you'd like to share with the community, you can contact us at our email address.